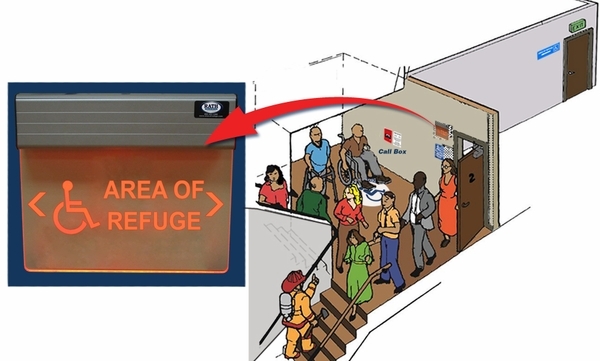 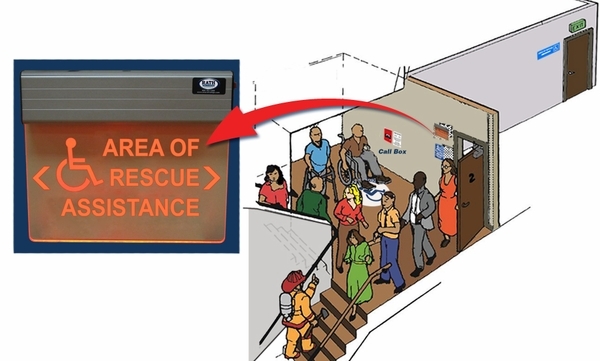 Area of Rescue systems are necessary to provide help in an emergency situation. 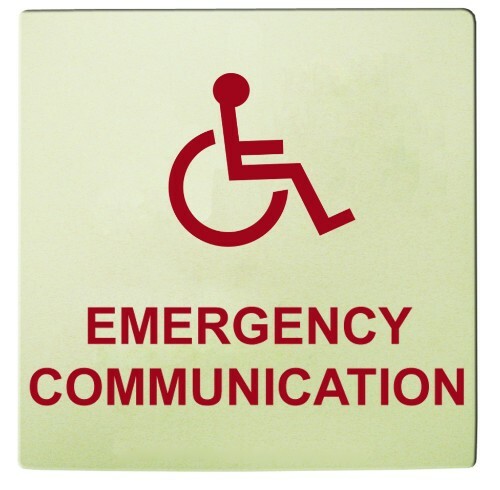 Rath Communications Area of Rescue Systems provide a quick way for individuals to call for help in a fire, medical or safety emergency. 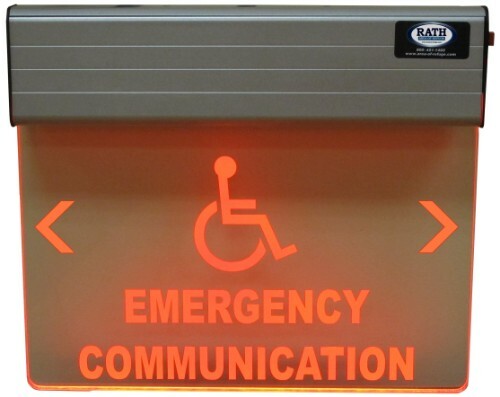 These systems have been utilized in schools, college campuses, parking garages, stairwells, business office complexes and a variety of other commercial and residential settings. 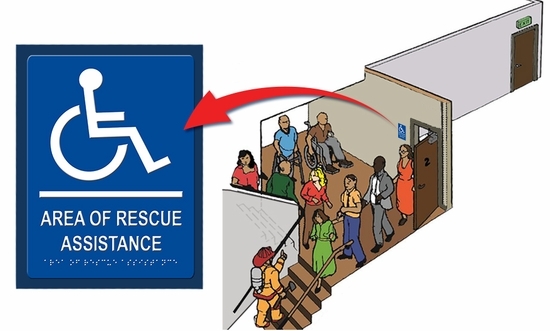 Rath Area of Rescue systems are built with a reliable construction and will provide a safe and user-friendly way for individuals to call for help should the need arise. 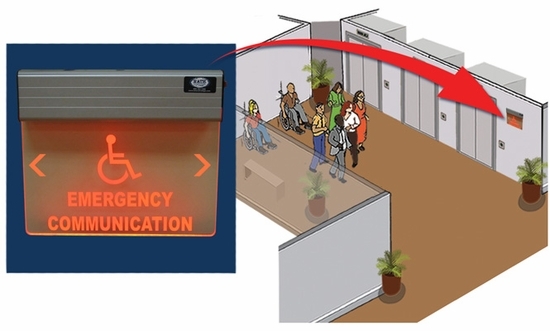 1-92 zones can be handled by the command center as our Rath Area of Rescue systems provide two-way person to person voice off-site communication utilizing one dedicated phone line. 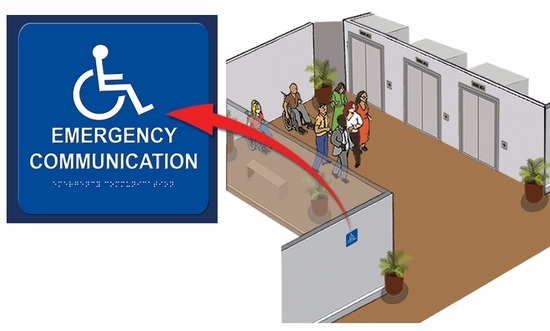 Rath Communications call boxes provide a simple way to call for help in emergency situations. 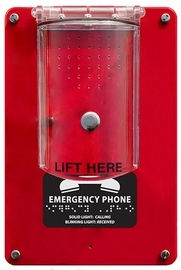 These call boxes come in flush or surface mount for ease of installation and are designed in a durable construction to provide years of dependability. 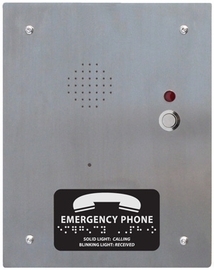 These call boxes feature on-site programming and recordable location message. 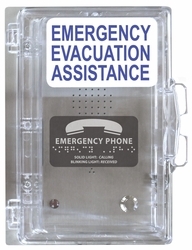 Each of our Rath Area of Rescue call boxes are compliant with all IBC, NFPA and ADAAG code regulations. 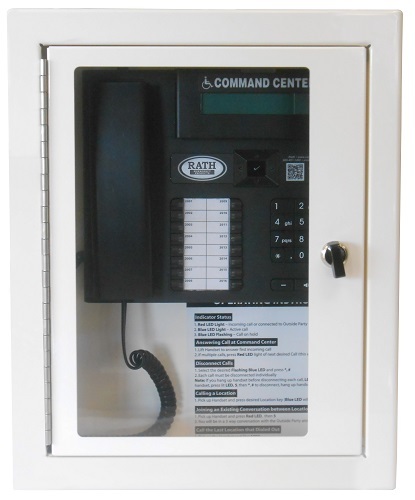 The Rath command centers provide a way for you to coordinate and control rescue in the event of an emergency. 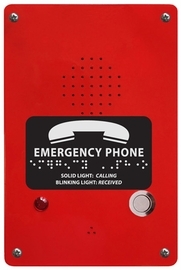 These command centers are programmed with audible and visual signaling to alert where an emergency call is coming from. 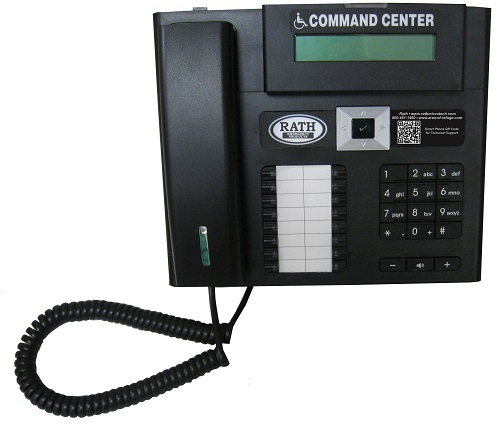 Our base stations include a handset and speakerphone for communication to call boxes. 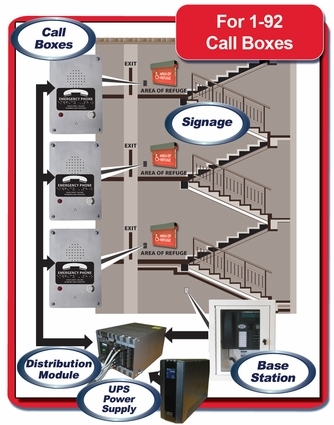 These systems allow rescue personnel to communicate with specific call boxes as well as outside parties. 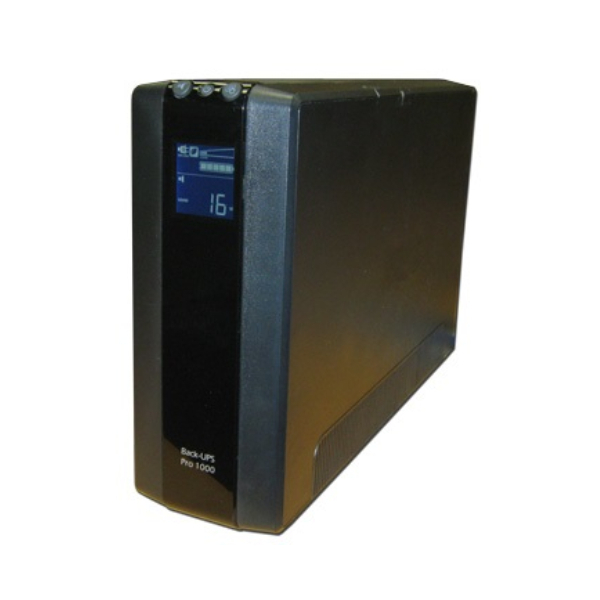 With built-in backup and surge protection as well as LCD indicators on utility status, the UPS power supply provides reliable power for your Rath Area of Rescue system. 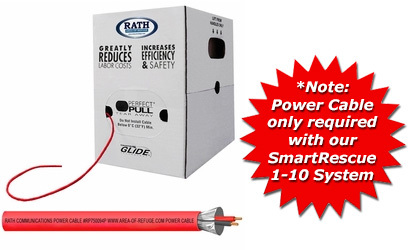 The power supply is sealed, lead-acid and maintenance free and is RoHS compliant. 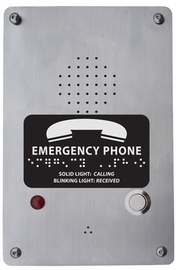 The power supply also comes equipped with visual and audible alarms which will notify personnel should something be faulty in the power. 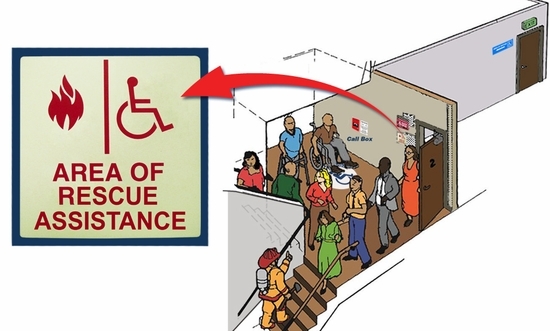 Proper signage is an essential component of our Rath Area of Rescue system. 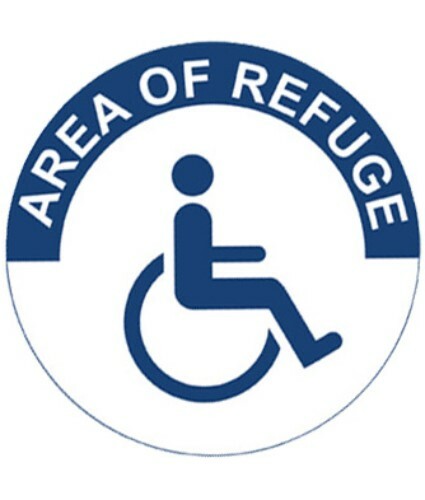 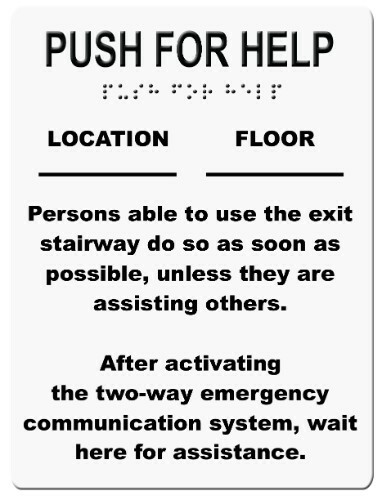 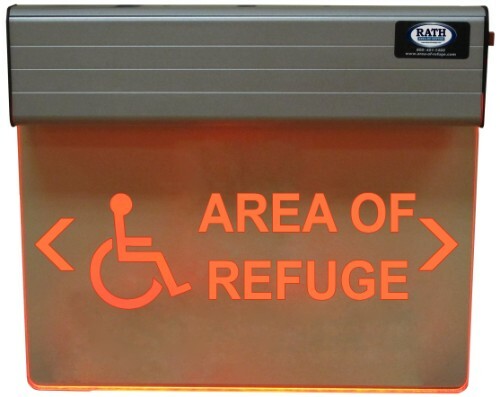 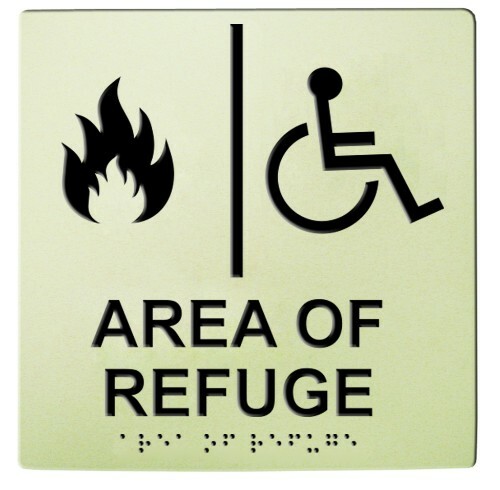 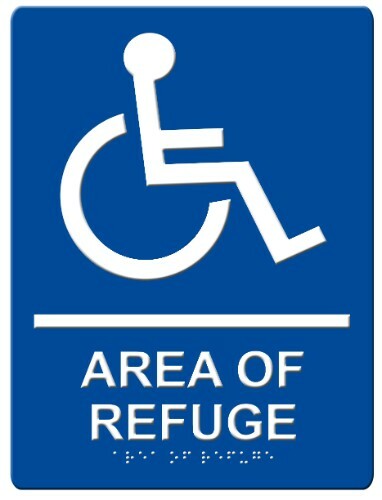 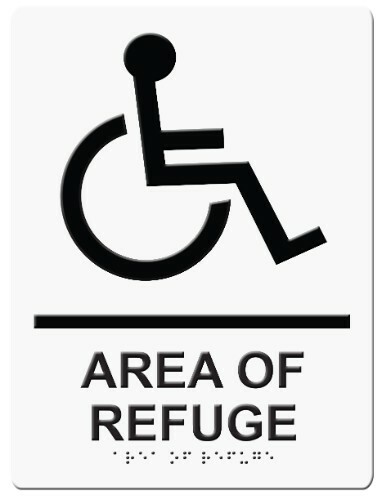 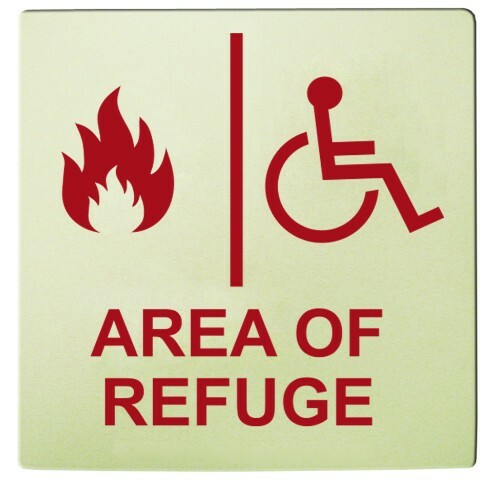 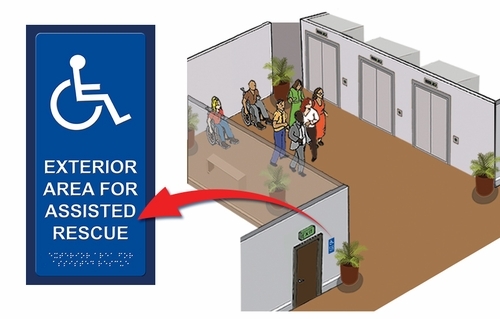 These signs come in a variety of options and are compliant with international and national building codes and all ADA regulations. Connect your systems with our dependable Rath cabling. 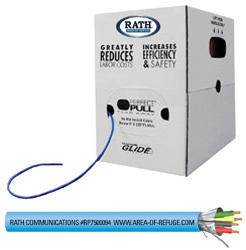 Power and communication cables are built to last and will provide a reliable connection throughout your Rath Area of Rescue system.